A Short History of Reiki. By Gil Dekel (PhD) and Natalie Dekel (MPhil) – Reiki Masters/Teachers. There are two versions for the history of Reiki Healing: a traditional story and contemporary one. Reiki energy was ‘re-discovered’ by Dr Mikao Usui (born in 1865), a university principal in Japan. One day his students challenged him by asking how the biblical prophets healed. Dr Usui could not answer this, and being an honourable Japanese man he decided to dedicate his life to discovering the inner healing powers and the ultimate purpose of life. Figure 1: Dr. Mikao Usui, drawn from a photo. (art copyrights © Gil Dekel). Eventually he came across an abbot of a Zen monastery who allowed him to study the sacred writings in the Japanese Sutras (ancient teachings) and Sanskrit Sutras of Tibet. The abbot was also interested in physical healing. He suggested Usui make a spiritual pilgrimage to Mt Kurama. Usui meditated there for 21 days in the hope of receiving enlightenment. On the 21st day he saw a light in the distance coming towards him at a great speed. The power of the light struck him on the forehead, making him unconscious. His spirit rose out of his body in an out-of-body experience where he could see a beautiful rainbow of colours and bubbles of light. The light contained the symbols of Reiki, which he had seen in the ancient sutras that he studies. Soon after Usui returned to Kyoto he began working as a healer in a beggar’s colony, which he did for seven years. After a while he noticed that some of the people that he had healed would return to beg in the streets. He asked them why they had returned to a life of begging and their response was that it was too hard to live otherwise. Dr Usui realized that he had ignored their spiritual needs, which were as important as the physical healing. After meditating on this he came up with the Reiki Principals. Eventually, Usui left the beggar’s colony and started to teach people how to heal themselves. Chujiro Hayashi (born in 1878), was a former Captain in the Imperial Navy, and a Naval Doctor. He took his Master training with Usui in 1925 at the age of 47. He and two other Naval Officers, Ushida and Taketomi, were the last to be taught by Usui. Figure 2: Chujiro Hayashi, Reiki Master. (art copyrights © Gil Dekel). Hayashi opened a clinic where clients would be treated by two or more healers. He kept a detailed record of the treatments, and used this information to create a manual of ‘standard’ hand positions for different ailments. Hawayo Takata (born in 1900), suffered from serious medical conditions, and was about to undergo an operation. On the operating table, just before the surgery was about to start, Mrs Takata heard a voice saying, “The operation is not necessary”. She asked her doctor if he knew of any other ways to restore her health, and he referred her to Dr Hayashi’s clinic. Figure 3: Hawayo Takata, Reiki Master. (art copyrights © Gil Dekel). 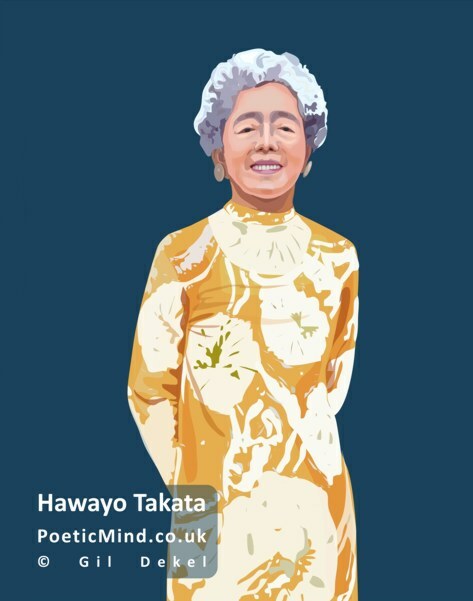 Mrs Takata was treated in Dr Hayashi’s clinic, and as her health problems resolved she decided that she wanted to learn Reiki. She was the 13th and probably the last Reiki Master that Dr Hayashi initiated. Dr Hayashi gave his blessing to her teaching Reiki to the West. Between 1970 and her death in 1980 Mrs Takata taught 22 Reiki Masters. Until quite recently, all Reiki practitioners in the West derived their Reiki from this lady. As the American people were not in favour of anything Japanese, Hawayo Takata adapted the Reiki Principles to the West. She modified the practices of Reiki, and also put together a devised story about the history of Reiki. According to the modern story, Usui was a bright man of many talents who was looking for a spiritual path that would rekindle ancient traditions while embracing new ways. Reiki was one of such systems developed at this time in Japan. According to Usui’s Memorial stone, he was a well-known and popular healer. He would give his students empowerments to connect them to Reiki permanently, so that they could treat themselves in between appointments with him. The method of Usui’s teachings was leaderless, so as to make sure that no one person would lay claim to it and that the system would be freely available to all. In 1923 the Kanto earthquake struck 50 miles from Tokyo, destroying Tokyo and Yokohama. An estimated 140,000 people died in the quake and the fires that followed. Usui gave many treatments to victims, and in recognition of his services he was awarded a Honorary Doctorate. 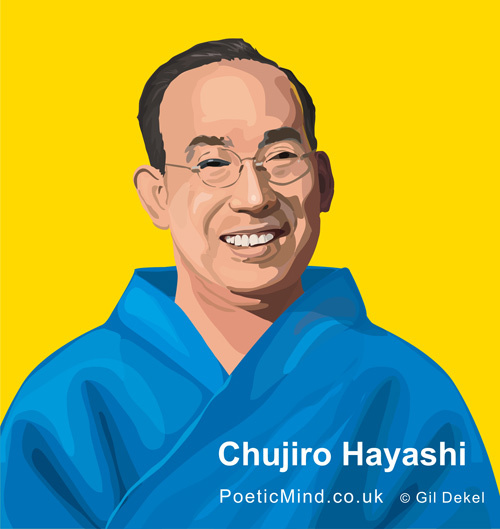 It was when he was giving healing at a Naval base that he met a group of Imperial Officers who later became his students, including the man who would be credited with bringing Reiki to the West, Dr Chujiro Hayashi. Mikao Usui died from a stroke in the town of Fukuyama in Hiroshima in 1926. 5 August 2010. Updated Aug 2012. Natalie and Gil Dekel are Reiki Masters and Teacher, and visionary artists.